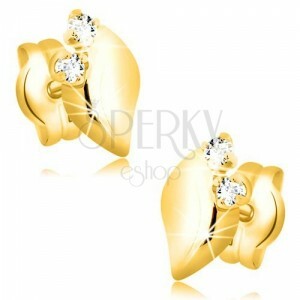 585 gold earrings - leaf with slightly upper wavy line and glossy surface, two round zircons of transparent hue. By buying this product you can collect up to 49 points as a voucher of 9,80 €. Your reward points. 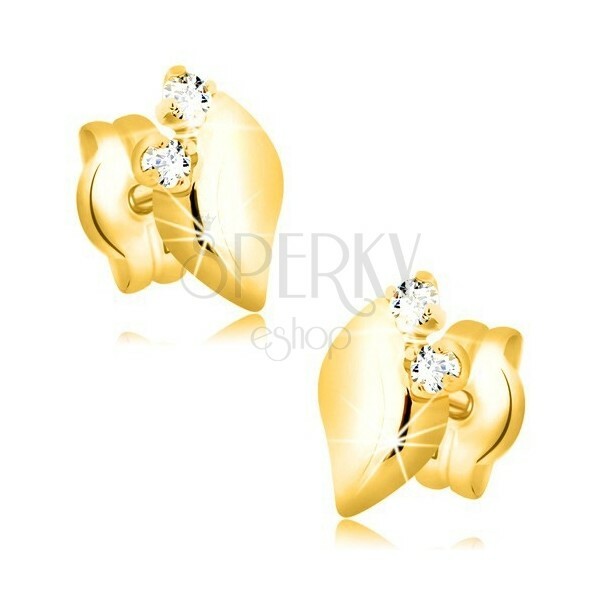 Yellow 14K gold earrings have a shape of glossy leaf. There is a slightly upper wave on one of the sides. Leaf is complemented with two clear cut zircons of round shape. Earrings have removable closure retained by friction.